Several area companies are about to get serious upgrades to their office art. That's because the fifth edition of The Kansas City Collection launched Thursday night with the debut of new work from 15 exceptional artists, who were selected to have their art displayed in businesses around the metro. The new collection debuted at a special unveiling event at the Kansas City headquarters of Populous, which has participated in the program twice. View the attached photo gallery to see some of the 83 works of art in the new collection. "Anytime you can combine something from the community with what you're doing as a business and showcase that together, it's perfect," Populous founder and Senior Principal Todd Voth told the Kansas City Business Journal. Participating companies put money into the art fund and receive curated works from the selected artists. Every six months, the art rotates and those companies receive new pieces to display. After three rotations, there is an online auction for the art in the collection. Companies can bid with the points they receive, which are determined by how much money they put into the fund. 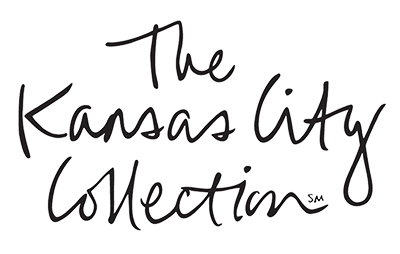 Christine Kemper, co-founder of The Kansas City Collection, said that she and her partners started the program 10 years ago as a way to showcase local and regional artists and help sell their artwork. The program was created and is managed by The Collectors Fund Inc., which was founded by Alexander "Sandy" Kemper, Christine Kemper and Will Conner in 2006. According to Kemper, businesses are eager to participate. "The companies love it because it creates vibrancy for their employees and clients," she said. The artists are selected from more than 100 nominations by a curatorial committee. Eighty-three works of art including drawing, painting, textiles, photography, ceramics and sculpture were selected. "It's a really great opportunity to be able to get exposure and sell artwork," featured artist Jessica Heikes said. The Collectors Fund also manages two art ownership and investment funds, which allow member families and businesses to invest in art as well as display museum-quality pieces in their homes before its sold.